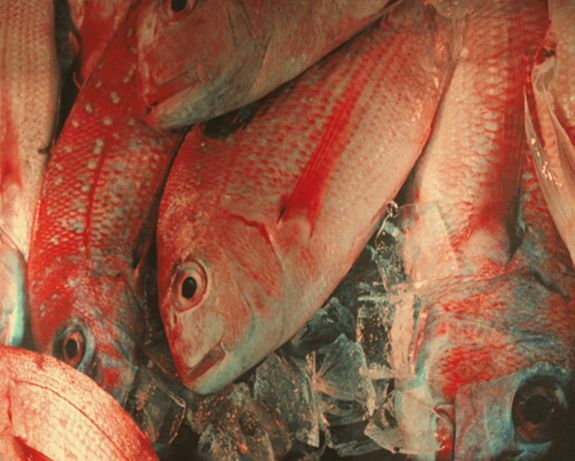 Have you ever watched Iron Chef and seen Morimoto in action? The man is just amazing, known for his unique style of food presenting, each dish is almost like a piece of art. 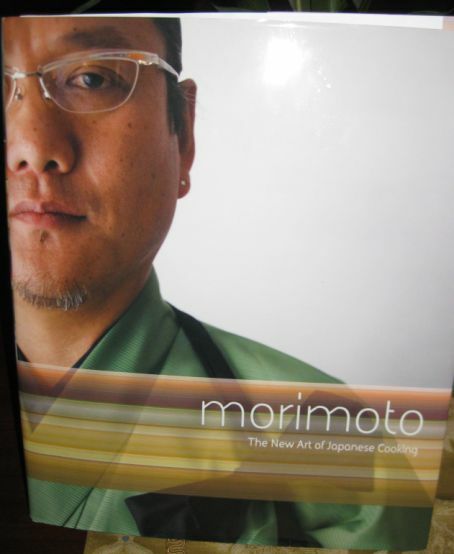 Morimoto is a Japanese chef but he distinguished himself from his peers by infusing European and Western cooking techniques and ingredients into this preparation. For those of you have never heard of Masaharu Morimoto, he is a well-known Japanese chef, best-known as the third Iron Chef Japanese on the original TV cooking show: "Iron Chef", and he is now one of the Iron Chef America, a the spin-off of Japanese Iron Chef. 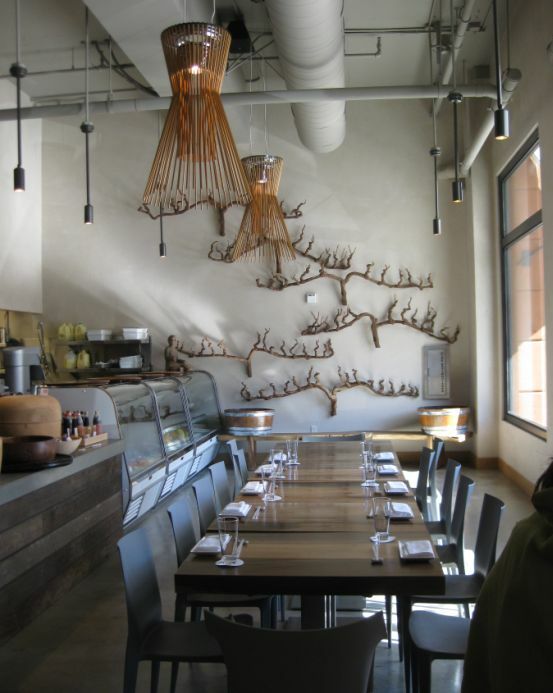 It’s interesting that Morimoto picks downtown Napa as his first West Coast presence. 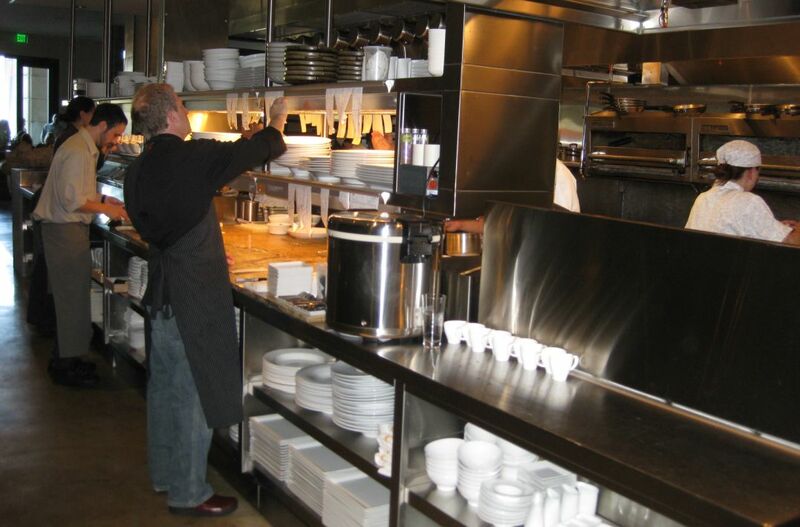 Napa Valley is particularly known to be the wine country but not the culinary center. So why Napa??? I would think San Francisco would surely be a better pick or how about trendy LA? But nope, it is downtown Napa! 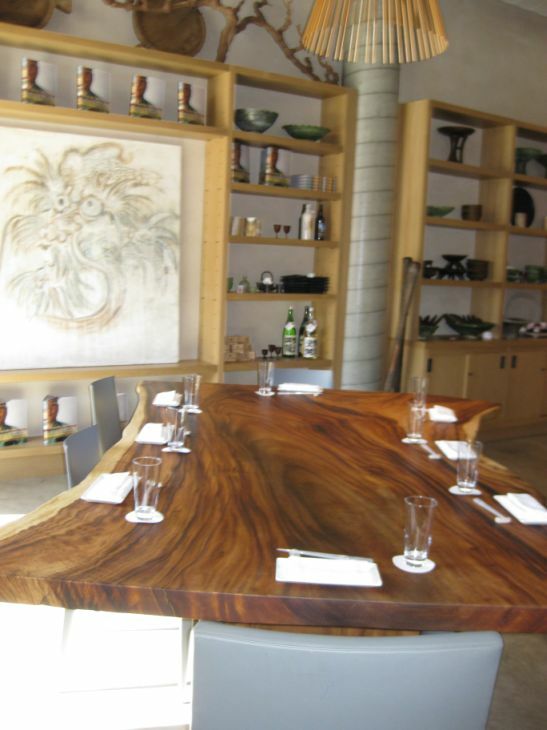 Could Morimoto be influenced by the ultra luxurious Ritz-Carlton who just opened their door last year in Napa? 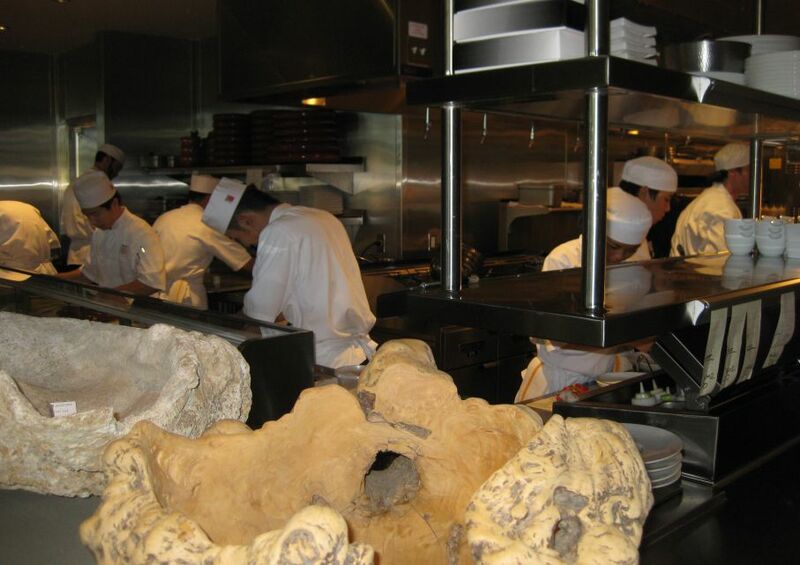 From a culinary perspective, Morimoto Napa should raise the bar within Napa’s city limits, at the same time becoming a natural destination for the Ritz-Carlton’s affluent clientele. 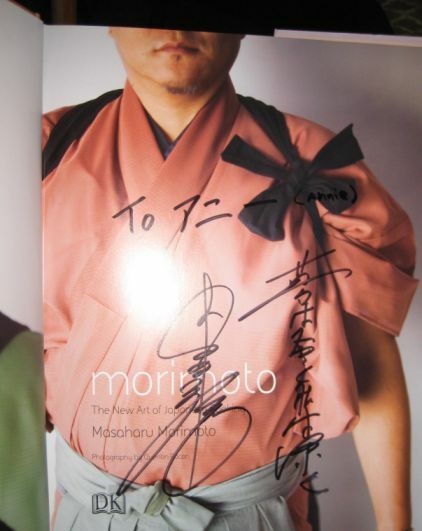 Perhaps Morimoto will become the King of Napa just like Thomas Keller who simply dominate Yountville! Only time will tell..... Napa is a small town so I am pretty sure he is expecting to see a lot of visitors from the Bay Area coming to Napa this summer! 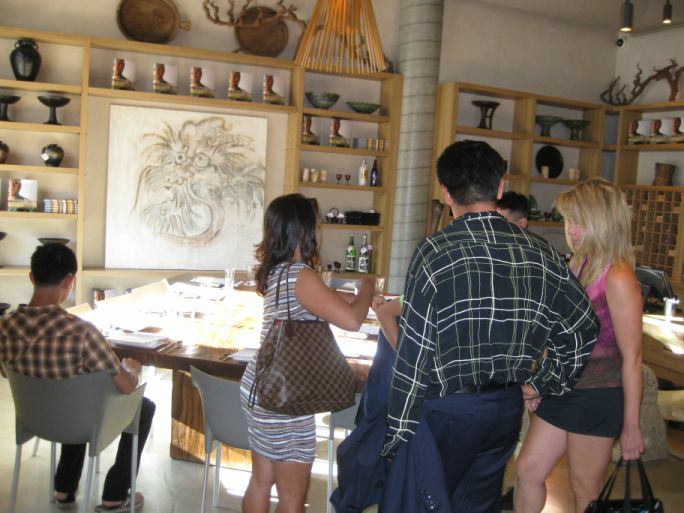 And this is exactly what we are doing, visiting Napa just for Morimoto. This is official picture of Iron Chef America: Masaharu Morimoto from the Food Network. My friends dined at Morimoto New York a few years ago and they were so impressed with the food that they bought this cookbook for me. As you entered the restaurant the walls are stark, minimal urban space with concrete floors, vast windows and a clean Japanese sensibility. 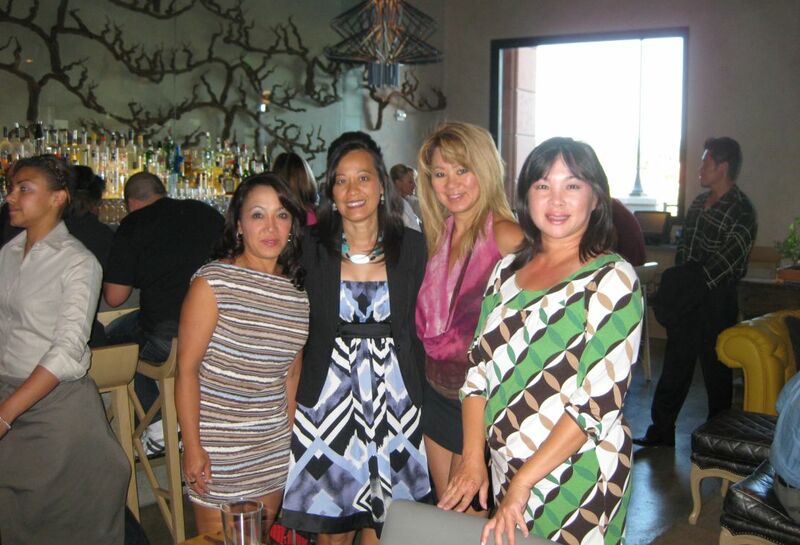 Several hostesses greet you at the door. 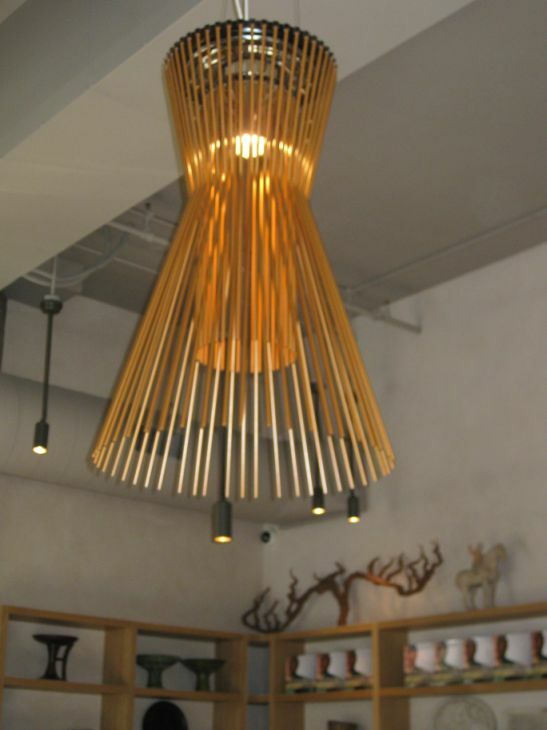 The restaurant has a very chic and industrial look with design highlights including petrified grape vines on the walls and iron chandeliers hanging from the ceiling. Upon the entrance, diners pass by the" market area" (pictured above), which is reserved for our group. This area is semi private and perfect for our group. We could be as loud as we wanted. The first picture is set up for the adults and the 2nd picture is a large beautiful table made out of a solid piece of wood is reserved for the kids. Interesting iron chandeliers hanging from the ceiling. 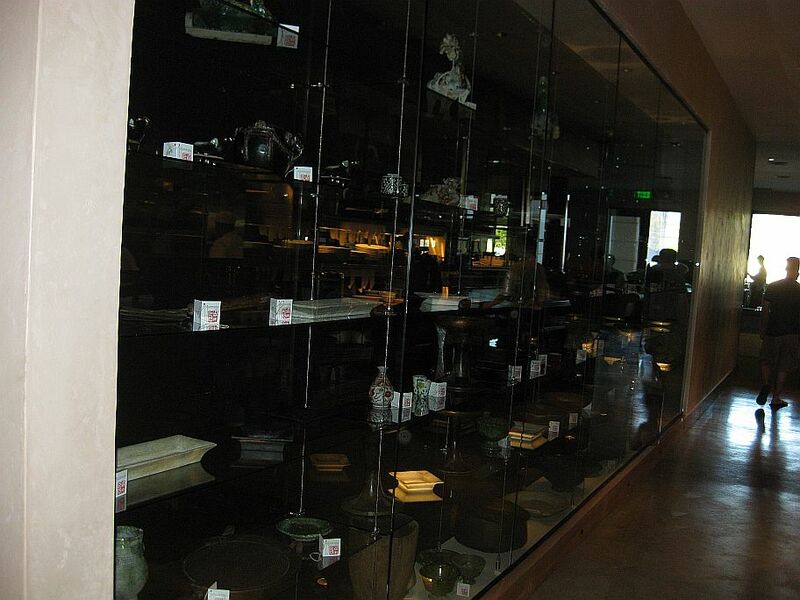 Next to the reception area, Morimoto has a little corner displaying plates, chop sticks, cups, sake bootle etc.. that was hand picked by Morimoto. They are one of a kind and way too pricey. Great for display though. 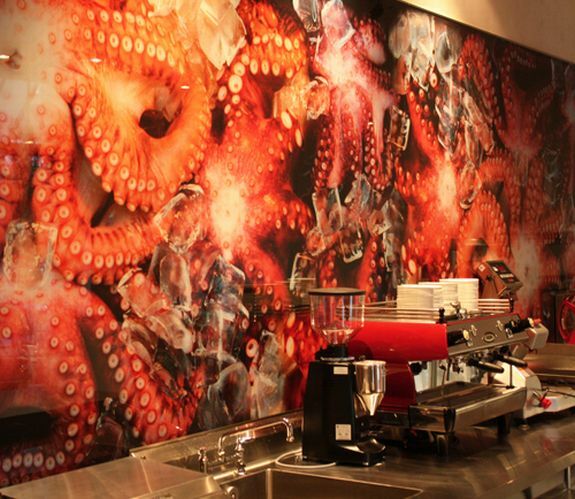 Wall paper of octopus and fish covering the wall. Hall way leading to the main dinning room. Posing in front of the bar. The bar is part of the main restaurant and it already full by the time we got there.